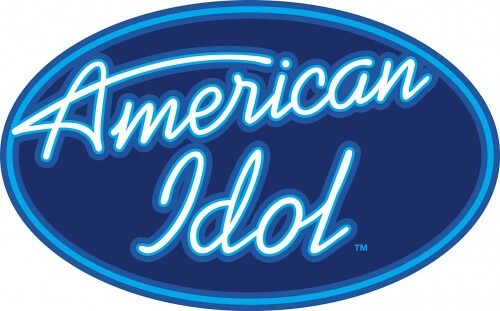 Week Two of American Idol auditions brings us to Milwaukee, Wisconsin… home of obnoxious Packers fans, cows, and cheese curds- and apparently home of some pretty talented folks. Well, even if it’s not their home, it’s the place they traveled to for a chance to sing in front of Steven Tyler, JLo, and Randy Jackson. I had no idea what to expect tonight. I intentionally stay away from AI previews and anything relating to it during the week leading up to the new show because I don’t want to ruin it for myself. I also don’t want to be influenced in any way by someone else’s opinion. It’s a sort of sequestering process, only without a bloody glove, getaway Ford Bronco, and flimsy alibi. Last night’s show was two hours, jam-packed full of talented hopefuls. 53 contestants were given those glorious golden tickets to Hollywood. Thanks to Justin Bieber and his fever, a good chunk of them were 15-years old. Two short seasons ago the judges were agonizing over whether or not to send the extremely talented and composed 16-year old David Archuleta through to the next round. All of a sudden this Bieber kid gets hot (thanks to Usher, YouTube, and ‘tween girls worldwide), and the minimum age is lowered. First up is 16-year old Scotty McCreery. He has a deep baritone speaking voice and sings pretty much exactly how he talks; deep, with purpose, and full of country twang. He sang “Your Man” by Josh Turner and while the judges were charmed, they needed to hear more. He then sang “Put Some Drive In Your Country” By Travis Tritt (Side note- Randy Jackson produced Travis Tritt’s last album, this song was not on it). Slick move, kid. This prompted Steven Tyler to blurt out, “well hellfire, save matches, f*ck a duck, and see what hatches!” Who needs Paula when we’ve got this guy?! No one has a clue what that meant but, Scotty got 3 yeses and I am excited to see what else he can do later in the competition because I promise you, he will be in the top 24, if not the top 12. No doubt. I have a lot to cover from last night, so I will be only hitting the highlights from here on out. Scotty got more coverage because he lit up the room and I couldn’t stop smiling as I watched. I believe that’s the very definition of having that elusive and magical “it” factor. Naima Adedapo – AI has decided she will be their literal Cinderella story as they show her scrubbing toilets and doing other janitor duties in the clip before she sings. She has a Lisa Bonet/Erykah Badu vibe and I loved her even before I hear her breath-taking version of Donny Hathaway’s “For All We Know.” The judges said she nailed it and sent her through. Jerome Bell – Actually admits to being a wedding singer and proceeds to give us a stunning version of Marvin Gaye’s “Let’s Get It On.” I liked him a lot and thought his voice actually had more of an Al Green feel to it. JLo said he had “all the -isms” and Steven Tyler said, “and none of the wasms.” I’m sure that makes sense to somebody, right? Randy says he has “crazy hot vocals” and Jerome is sent to Hollywood. Thia Megia – Another 15-year old with poise, confidence, and a supremely great voice. She kills Adele’s “Chasing Pavements” and receives 3 easy yeses from the judges. Thia has an America’s Got Talent past that may or may not help her in this competition. Aly Jados – She comes in and immediately confesses love for Steven Tyler, he tells her she looks like she could be one of his “friends” and she somehow takes that as a huge compliment. Steven walks over to give her a hug and either she is an Amazon woman or Steven Tyler is so much shorter than I ever imagined. I was turned off by her gushing and ready for her to be done already when she belted out a rockin’ version of The Beatles’ “Come Together.” WOW! I love her voice, she reminds me of Jordis Unga from Rockstar:INXS. Tiwan Strong (His real name!) – I like him instantly, he’s super charismatic. He nailed “Twistin’ The Night Away!” it was flawless. Steven Tyler said he had a sparkle and he receives 3 enthusiastic yeses. He goes to his family with the good news and one of them screams “God be the glory!” while another one doubles over grabbing her leg yelling, “ I got a charley horse!” it was a hilarious commotion and Ryan Seacrest recommends drinking “lots of water.” Thanks, Ry. Steve Beghun – Tall, lanky, odd-looking and reminds me a lot of Will Ferrell. He delivers a bad “big goon/Beghun” joke that falls flat but he saves himself with a surprisingly good version of “The Man Who Can’t Be Moved.” JLo says, “What the? !” and Steven says he is “disturbingly great.” Randy agrees and he’s off to Hollywood. This was an eventful night of auditions and I didn’t even mention the boy in the Confederate Soldier’s uniform, the Packers fan who sang an operatic version of a Justin Bieber song, or the woman who claimed the judges only said no because she wasn’t skinny. Who knew Milwaukee had so much to offer? I can’t wait for tonight’s auditions in Music City: Nashville!